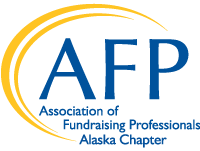 The AFP Alaska Chapter hosts a job board for Alaska nonprofits. Costs are $50 for one month or $99 for 3 months posting. Your posting will be reviewed by our administrator before it is published. All submissions must comply with the AFP Code of Ethical Standards. Please click here to submit posting and payment. The Development Director is responsible for Habitat for Humanity – Anchorage’s development efforts. While the Development Director and Fundraising Manager work closely together as a team in collaboration on all aspects of development and growth, the Development Director holds the responsibility for the overall success of the team. Within that partnership, the Development Director will be have specific focus on donor stewardship, raising restricted and unrestricted funds, and all aspects of grant funding activity as well as supervision of and responsibility for the Fundraising Manager, whose primary responsibilities include events, corporate donations and marketing/social media. For complete job description click here.